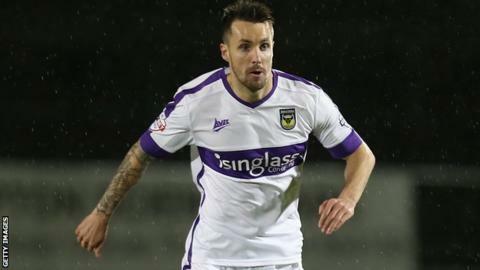 York City have signed midfielder Michael Collins on a one-month loan deal from League Two rivals Oxford United. Former Republic of Ireland Under-21 international Collins has not made an appearance for the U's this season, but featured in 43 games last term. The 29-year-old joined Oxford in 2014 following his release by Scunthorpe. York are 19th in League Two with nine points from their opening 10 fixtures, two points above the relegation zone.